When Paula Gomes and Sheryl Heron came together to create Emory’s Intimate Partner Violence Working Group (IPVWG) nearly a decade ago, the need for a campus-wide focus on the issue couldn’t have been more apparent. That year alone, two members of the Emory community lost their lives to intimate partner violence. Even today, the life of one Emory employee is typically lost every year to intimate partner violence (IPV), which can affect faculty, staff and students, says Gomes, a psychologist and executive director of Emory’s Faculty Staff Assistance Program (FSAP). That’s a tragedy not unique to Emory, she says — IPV remains an issue that continues to plague society at large. “Part of my continued commitment and passion around the IPVWG has been to make sure we do all that we can to reduce the incidence of relationship violence, which we’ve seen a significant increase in over the last few years,” notes Gomes. October is National Relationship Violence Awareness Month, which will be marked at Emory with a Take Back the Night march and rally on Oct. 24 in support of survivors and ending sexual and intimate partner violence. For Gomes and Heron, professor and vice chair in administrative affairs in the Department of Emergency Medicine at the Emory School of Medicine and a national authority on IPV, it also offers an opportunity to reflect on a decade of campus work aimed at increasing IPV awareness, education and resources. “It’s been important for us to help those in the Emory community realize that if partner violence touches their lives, there are resources available on campus to help support them,” says Gomes. The roots of today’s IPVWG can be traced back to a happy coincidence — Gomes and Heron happened to meet each other in 2005 at an annual “When Domestic Violence Goes To Work” conference. Together, they sought to launch an initiative to increase knowledge, awareness and information to “all the constituents that could potentially be impacted at Emory,” she says. “From my work as an emergency medicine physician, where I have seen patients who present with partner violence, I’ve been compelled to educate health care professionals and the community on ways we can compassionately care for one another, whether it is at the bedside with patients or with each other at work,” says Heron, who also serves as associate director for education and training at the Injury Prevention Resource Center at Emory (IPRICE) and assistant dean of clinical education and student affairs at the Emory School of Medicine. Identifying key individuals who might share an interest in the issue, they created an enterprise-wide, interdisciplinary group of service providers and experts in the field of IPV from throughout Emory’s schools, divisions and health care facilities. Today, that representation has expanded include FSAP; IPRICE; the Emory Respect Program; Emory Police Department; Employee Health, Counseling and Psychological Services (CAPS); the Office of Spiritual and Religious Life; University Title IX coordinators; and an assortment of Campus Life groups and student support services. “It is a group attached to this work by the heartstrings,” says Wanda Swan, director of the Respect Program in Emory’s Office of Health Promotion, who was appointed IPVWG co-chair in September. Looking back on a decade of work, Gomes finds pride in many of the discussions, projects and initiatives that have risen from the IPVWG. Through the HR Rep Certification Program offered through Emory’s Office of Learning and Organizational Development, Emory employees now receive special training in increasing awareness of IPV in the workplace. “Every time the course 'Intimate Partner Violence: Awareness, Response and Prevention' is offered, it’s packed,” says Gomes, noting that the course arose from the work of the IPVWG and the commitment of Kathryn Wynes, director of employee relations in Emory’s Human Resources Division, who has been an IPVWG member since its inception. Through Emory’s Center for Emergency Preparedness and Response website, a video series titled “Mitigating Violence Through Compassion” is available, along with Emory community resources. Employees can view an FSAP video that addresses care for self and colleagues, plus information about where supervisors and co-workers can reach out for more information or support. 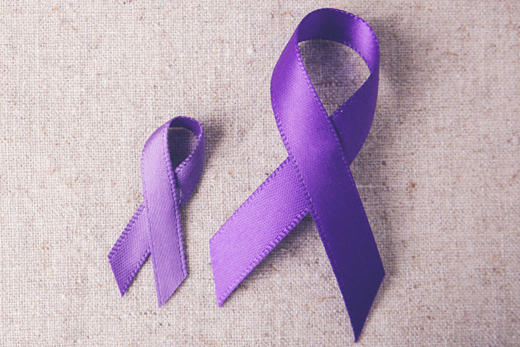 Easy-reference cards that offer information of where those struggling with intimate partner violence may find safety and 24-hour support are also available through Emory’s FSAP. Discreetly designed to be no larger than a business card, they offer phone numbers to both campus and community resources. Production of the cards was coordinated through FSAP and Employee Health. Through FSAP and CAPS, speakers are made available to lead panel discussions or lead support sessions for both Emory Healthcare and the University. Both Emory Healthcare and Emory University employees confronting the strain of relationship violence can also find support through Emory’s Hardship Fund, which was established to provide financial support to staff and faculty members who experience a financial hardship due to a catastrophic event. “IPV now qualifies as a situation that represents a crisis, so applicants can apply for assistance related to those concerns,” Gomes says, crediting Wynes and Sharon Barrett, Emory Healthcare human resources manager, with facilitating the enhancement to the Emory Hardship Fund through IPVWG discussions. “Our work has been about increasing education and awareness, but I think we’ve also offered a bridge to connecting health care units, schools and divisions throughout the University, uniting all of our respective activities to support each other in this work and to reinforce the steps that have been taken by Emory to help reduce relationship violence,” Gomes says. “Overall, I’m really just proud of the breadth of work that we’ve done,” she adds. Those in the Emory community who may be interested in contributing to campus efforts for IPV prevention are encouraged to contact Gomes at 404-727-4328 or at pgomes@emory.edu.